The focus is on the February Sale - Swordlestown Little is providing a quality draft ! Because our foals were suffering from a nasty respiratory infection in November we were forced to withdraw them from the November Sales in the interest of our animals as well as the Sales Company. However, now that they have recovered completely and are bigger and stronger than before, we have made the decision to enter all of them in the Goffs February Sale. 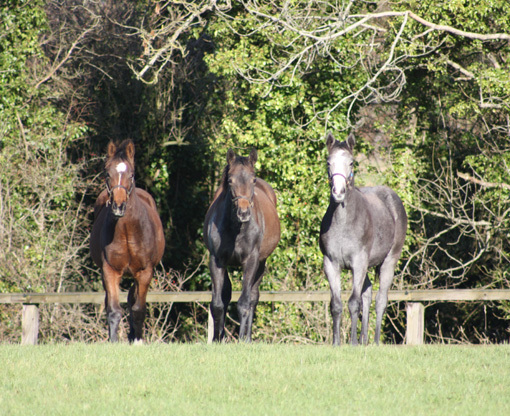 This is a quality draft of four lovely yearlings, headed by the Mastercraftsman filly out of Sogno Verde. With her ready-made broodmare pedigree and her correct conformation, good size and temperament, she should attract a lot of interest both from pinhookers and end-users. Her 2yo half brother has been named GOLD MEDAL in the year that is in it (London 2012) and has joined the Hannon-Academy for owner Julie Wood. The grey Miss Shaan filly by the red-hot sire of the moment Acclamation is a lovely active and athletic filly. She is a late foal but after a summer of lush Irish grass she should make up into a racy two year old type. All her four siblings to race were winners at two and Damien, rated 112, was a more than useful Two Year Old for Barry Hills. Baceli, her half brother by Mujadil is now resident in Hong Kong and will race under his new name CHARITY LIGHT. The Miss Shaan 2yo filly by Oratorio has started her school days with master trainer Richard Hannon and her owner, Julie Wood has given her the most lovely name in WINTER WHITE. 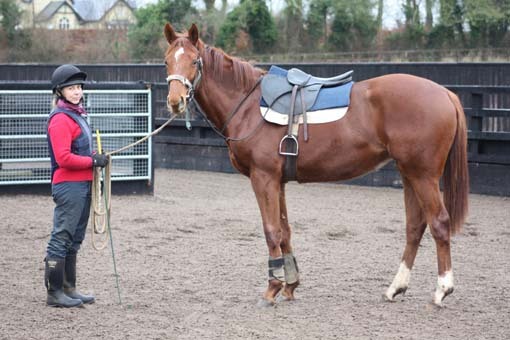 We wish the Wood-Hannon team the very best of luck with the two Swordlestown offspring! My personal favourite is George, a bay colt by Marju out of Khatela. He is a full brother to MASSIVE who was a talented two year old for Mick Channon. Although never bred to be an early type, he won his maiden in convincing style and was a very unlucky second in the Gr 3 Prix de Conde at Longchamp beaten the shortest of short heads. He won the Listed Heron Stakes the following season. His full sister BUSTED TYCOON is in training with Tommy Stack. We eagerly await her race course debut. 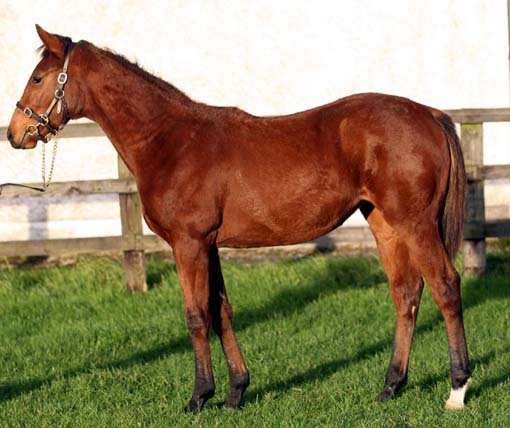 Last but not least is a tall, well developped Verglas filly out of Third Dimension. She is a half-sister to four winners and the more than useful black type hurdler Third Dimension. Her three half sisters all won four and more races and proved themselves to be tough and genuine racehorses. 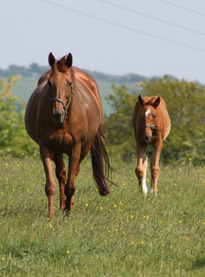 Her half sister Theola is in foal to Azamour and has now relocated to HH Aga Khans Haras de Bonneval in France where she is due to foal in early February. Fingers crossed for our Sales this time!! A reminder of summertime - The Aer Lingus Cara Magazine photoshoot of August 2011. Photo by renowned Irish Photographer Trevor Hart. Dr Rolf Schmid's first homebred horse Roman Romance has left Swordlestown Little for Mr Oxx's Currabeg Stables. 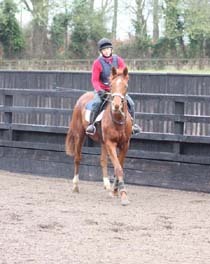 How very exciting to watch her develop from foal to racehorse!